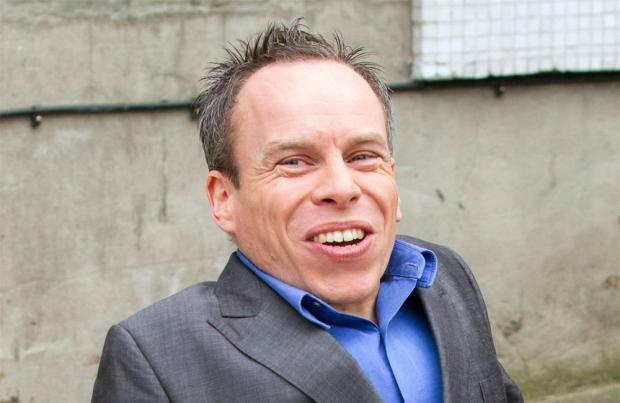 Warwick Davis has been cast in 'Star Wars Episode VII'. Director J.J. Abrams has brought in the 44-year-old actor to appear in the hotly-anticipated sequel to join returning actors Harrison Ford, Mark Hamill and Carrie Fisher as well as new faces John Boyega, Daisy Ridley and Oscar Isaac. The announcement was made on the official 'Star Wars' YouTube account with Warwick posting a spoof video - titled "Will Warwick Davis Appear in Star Wars Episode VII?" - showing him waiting months by his phone for a call from Abrahams, 'growing' a beard as he waits for an offer. When he finally gets the call, the actor is heard saying on the line: "Hello Warwick Davis. Yes J.J. hi. Would I like to appear in 'Star Wars: Episode VII'? Let me think about it. Just got to check the diary, yep good. Pinewood, yeah I'll be right there. May the force be with you." As he hangs up, Warwick shouts out "yes!" in excitement. His casting has sparked speculation he could reprise his role as Wicket the Ewok, who he played in the final film of the original trilogy 'Star Wars Episode VI: Return of the Jedi'. Warwick - who also portrayed Wicket in two TV spin-off movies 'The Ewok Adventure' and 'Ewoks: The Battle for Endor' - also appeared in prequel 'Star Wars Episode I: The Phantom Menace' playing the character Wald, who was childhood friends with the young Anakin Skywalker. Shooting on the new film is currently taking place at Pinewood Studios in Buckinghamshire, South East England.